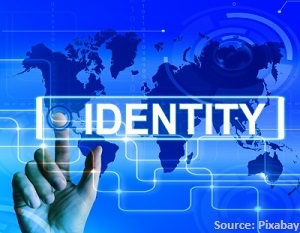 Identity theft is enough of a common occurrence that you should be taking precautions to protect yourself from it on a daily basis. And since you're even more vulnerable while moving, you need to take these everyday security measures up another level when moving day arrives. Extremely important documents like your social insurance card, tax records, birth certificate, etc. become especially susceptible to theft when moving from one home to another. Yet another way you become open to theft during a move is to become embroiled in a moving scam. Not only could you potentially lose some money, but you could also have important information about you taken by the scam artists. TIP: Never, ever give secure information like your social security number to a moving company or hand them large deposits up front. This is not a common moving practise. Your identity can be stolen via the mail everyday, but you become more vulnerable if you do not take the proper precautions through the Canada Post. Notify the bank, credit card companies, insurance companies, subscription services (newspapers, magazines), the DMV, your employer, friends, family, physicians, etc. TIP: For added security during your move (and in the future), shred any important mail containing personal information. Some thieves still commit fraud and steal your identity by taking it from junk mail that you casually toss in the garbage. Information may also be stolen from your technology. To protect phones and computers during your move, make sure they are in a secure place, lock automatically when not in use and have passcodes built into them to protect from snooping. Selling laptops or other electronic devices containing secure information to help make extra money for your move? Take precautions to be sure that they are wiped of all pertinent data that could lead to identity theft. To confirm that you have not been the victim of identity theft, look at your credit report regularly for any inconsistencies. The quicker you catch it, the sooner you can protect your credit score from any further damage. This should be done often -- not just when you're moving your home.